Physicists have discovered a material that superconducts at a temperature significantly warmer than the coldest ever measured on the earth. That should herald a new era of superconductivity research. The world of superconductivity is in uproar. Last year, Mikhail Eremets and a couple of pals from the Max Planck Institute for Chemistry in Mainz, Germany, made the extraordinary claim that they had seen hydrogen sulphide superconducting at -70 °C. That’s some 20 degrees hotter than any other material—a huge increase over the current record…. Dry mud and glaze on pottery will crack when placed under stress, often producing a crisscrossing fracture network on the surface. Most of these seemingly random crack patterns are well understood, but certain coatings, such as metal and silica nanofilms, can exhibit spiral-shaped cracks and other regular patterns that cannot be produced by known fracture mechanisms. A new study in Physical Review Letters reveals that these peculiar patterns can arise when new cracks are formed by the spontaneous replication of an initial crack template. The standard picture of crack formation in a thin film is based on the competition between elastic forces and fracture energy. Under tensile stress, the elastic energy builds up until it is greater than the energy that it takes to break the film, at which point the stress is released and the film splits along a straight channel. This theory predicts that a new crack will tend to be deflected in the close vicinity of a previous one and cross it perpendicularly. As a result, disordered crack patterns are expected. Superconductors are among the wonders of modern science. They allow a current to flow with zero resistance in materials cooled below some critical temperature. Superconductors are the crucial ingredients in everything from high-power magnets and MRI machines to highly sensitive magnetometers and magnetic levitation devices. One problem though is that superconductors work only at very low temperatures. So one of the great challenges in this area of science is to find materials that superconduct at higher temperatures, perhaps even at room temperature. That won’t be easy given that the current record is around 150 kelvin (-120 degrees centigrade). 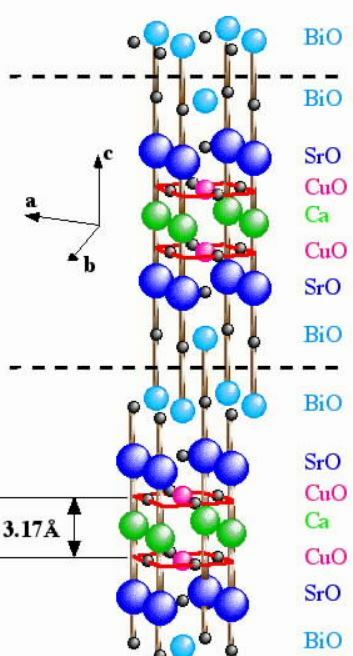 Nevertheless, a way of increasing the critical temperature of existing superconducting materials would be hugely useful. Today, a group of physicists and engineers say they have worked out how to do this. The trick is to think of a superconductor as a special kind of metamaterial and then to manipulate its structure in a way that increases its critical temperature. Vera Smolyaninova at Towson University in Maryland and colleagues from the University of Maryland and the Naval Research Laboratory in Washington DC, have even demonstrated this idea by increasing the critical superconducting temperature of tin. First some background about metamaterials. Until relatively recently, physicists had always treated bulk materials as homogeneous lumps of the same stuff. These lumps have bulk properties such as the ability to bend light in a certain way. But in recent years they have began to think about constructing artificial materials made of periodic patterns of structures that themselves interact with electromagnetic waves, things like wires, c-shaped conductors and so on. If these structures are much smaller than the wavelength of the light passing by, then they act like a homogeneous lump, at least as far as the light is concerned. By toying with this periodic structure, physicists can create artificial materials with all kinds of exotic properties. The most famous of these is the invisibility cloak, a metamaterial designed to steer light around an object as if it were not there. 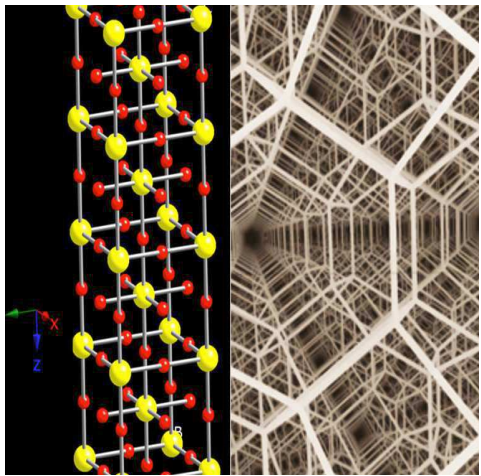 Superconductivity can be thought of in a similar way, say Smolyaninova and co. Conventional superconductors made of a single metal are homogeneous lumps of the same stuff that have zero resistance at some critical temperature….. In this pedagogical introduction, I discuss theoretical aspects of superfluidity and superconductivity, mostly using a field-theoretical formalism. 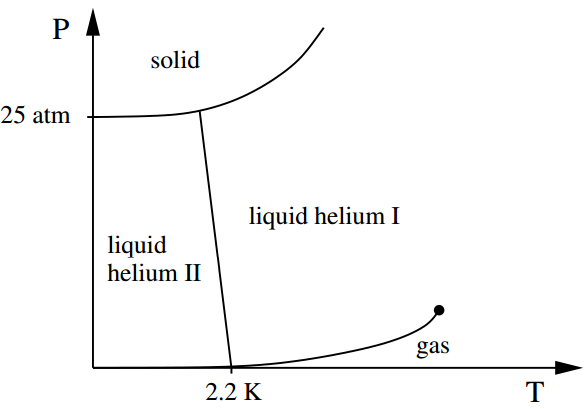 While the emphasis is on general concepts and mechanisms behind superfluidity, I also discuss various applications in low-energy and high-energy physics. Besides some introductory and standard topics such as superfluid helium and superfluidity in a simple scalar field theory, the lecture notes also include more advanced chapters, for instance discussions of the covariant two-fluid formalism and Cooper pairing with mismatched Fermi surfaces…. (A) A Slinky on a at surface in two stable states, and (B) an accompanying schematic showing bar i (on left) and bar i + 1 (on right) for the discrete model, along with displacements and axial, rotational, and shear springs. The Slinky is a well-known example of a highly flexible helical spring, exhibiting large, geometrically nonlinear deformations from minimal applied forces. By considering it as a system of coils that act to resist axial, shearing, and rotational deformations, we develop a discretized model to predict the equilibrium configurations of a Slinky via the minimization of its potential energy. 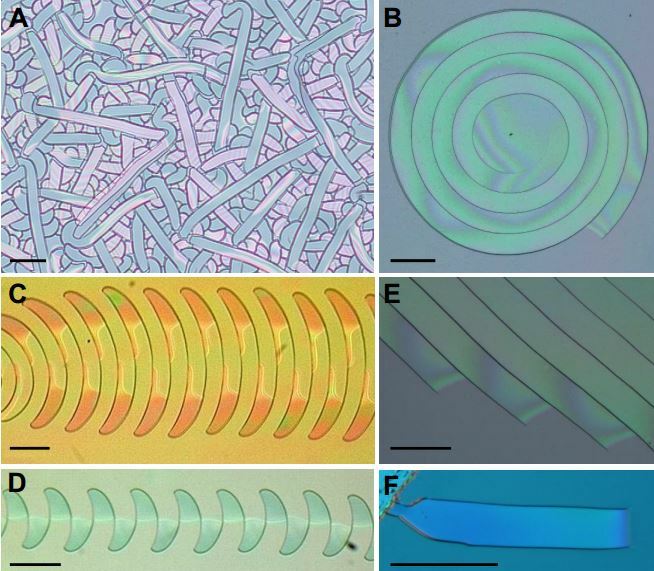 Careful consideration of the contact between coils enables this procedure to accurately describe the shape and stability of the Slinky under different modes of deformation. In addition, we provide simple geometric and material relations that describe a scaling of the general behavior of flexible, helical springs. Classical and high-temperature superconductors differ hugely in the value of the critical temperatures at which they lose all electrical resistance. Scientists have now used powerful X-rays to establish another big difference: high-temperature superconductivity cannot be accounted for by the mechanism that leads to conventional superconductivity. As this mechanism called “electron-phonon coupling” contributes only marginally to the loss of electrical resistance, other scenarios must now be developed to explain high-temperature superconductivity. The results are published on November 24, 2013 in Nature Physics. The team of scientists was led by Mathieu Le Tacon and Bernhard Keimer from the Max-Planck-Institute for Solid State Research in Stuttgart (Germany) and comprised scientists from Politecnico di Milano (Italy), Karlsruhe Institute of Technology (KIT) and the European Synchrotron (ESRF) in Grenoble, France. High-temperature superconductivity was discovered nearly thirty years ago and is beginning to find more and more practical applications. These materials have fascinated scientists since their discovery. For even more practical applications, the origin of their amazing properties must be understood, and ways found to calculate the critical temperature. A key element of this understanding is the process that makes electrons combine into so-called “Cooper pairs” when the material is cooled below the critical temperature. In classical superconductors, these Cooper pairs are formed thanks to electron-phonon coupling, an interaction between electrons carrying the electrical current and collective vibrations of atoms in the material. To understand the role this interaction plays in high-temperature superconductors, Matthieu Le Tacon and his colleagues took up the challenge to study these atomic vibrations as the material was cooled down below its critical temperature. “Studying electron-phonon coupling in these superconductors is always a delicate task, due to the complex structure of the materials,” says Alexeï Bosak, an ESRF scientist and member of the team. He adds: “This is why we developed a two-level approach to literally find a needle in the hay stack”. The big surprise came once the electron-phonon coupling had been probed. “In terms of its amplitude, the coupling is actually by far the biggest ever observed in a superconductor, but it occurs in a very narrow region of phonon wavelengths and at a very low energy of vibration of the atoms”, adds Mathieu Le Tacon. “This explains why nobody could see it before the two-level approach of X-ray scattering was developed”. Because the electron-phonon coupling is in such a narrow wavelength region, it cannot “help” two electrons to bind themselves together into a Cooper pair. 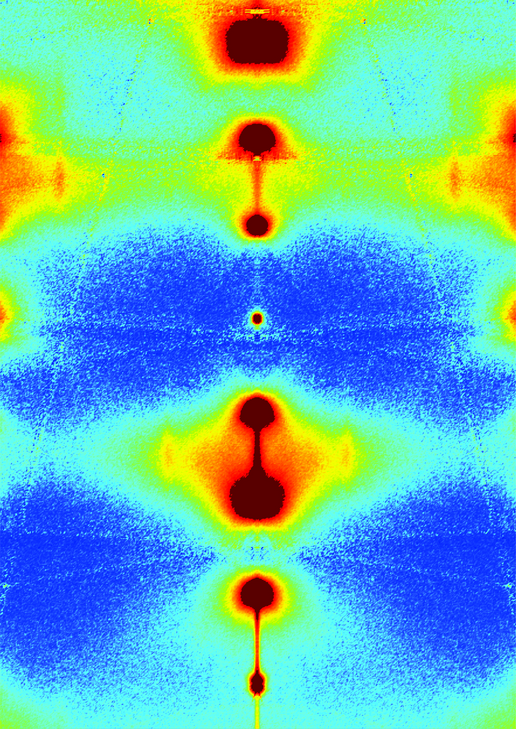 The next step will be to make systematic observations in many other high-temperature superconductors. “Although we now know that electron-phonon coupling does not contribute to their superconductivity, the unexpected size of the effect—we call it giant electron-phonon-coupling—happens to be a valuable tool to study the interplay between superconductivity and other competing processes. This will hopefully provide further insight into the origin of high-temperature superconductivity, still one of the big mysteries of science”, concludes Mathieu Le Tacon.